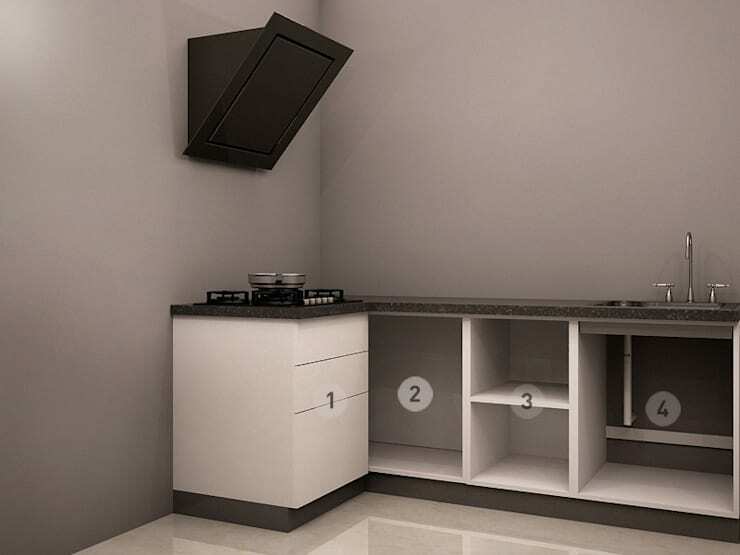 L-shaped kitchens are functional and versatile and are a great fit for Indian cooking styles. ["BR"] [Published] Sua Cozinha É Pequena? Veja Estas Ideias! ["VE"] [Published] ¿Tu cocina es chiquita? ¡Mira estas ideas! ["IN"] [Published] 15 pictures of kitchen interiors for you to copy! ["PT"] [Published] 12 cozinhas com layout em L para o inspirar! ["IN"] [Published] Top 5 articles of the week—Pooja room designs, Vastu tips and more! ["IN"] [Published] Is the U-shaped kitchen ideal for your home? ["IN"] [Published] What are the best colors for the kitchen? ["CA"] [Published] Color Guide: What colors match with teal? 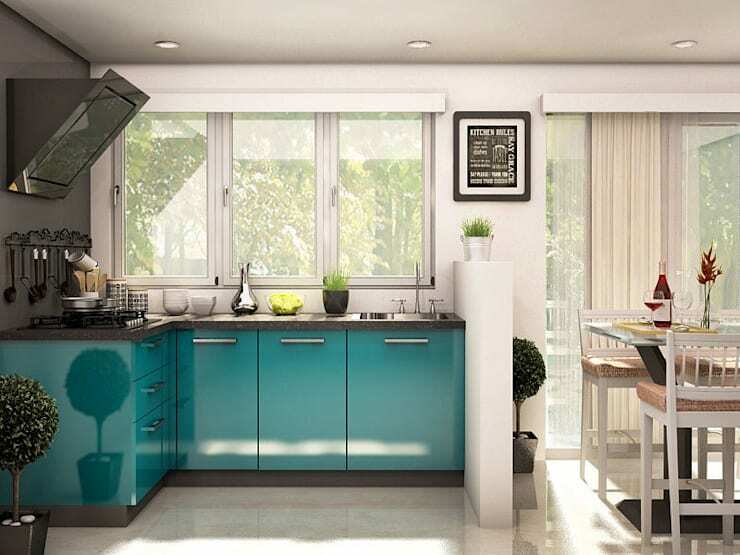 Teal L-shaped kitchen, comfortably fits into the most compact of homes.